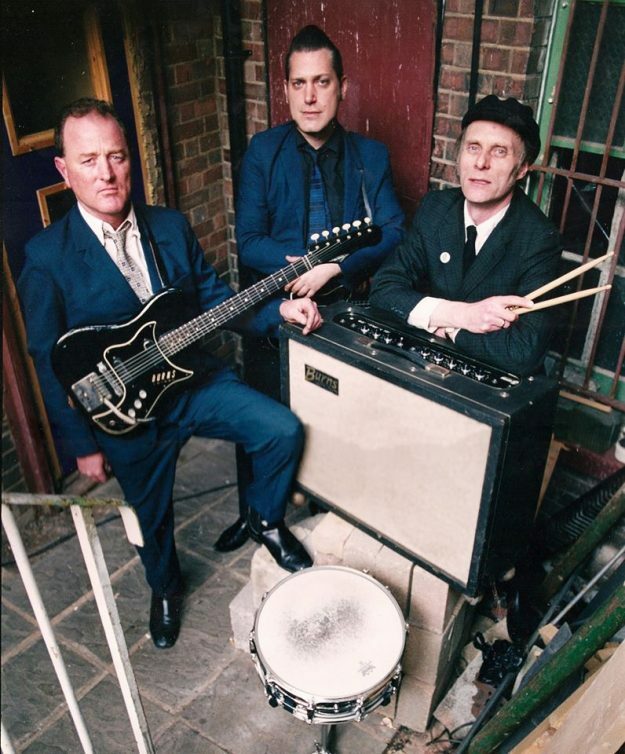 Medway garage trio THE MASONICS return next month with a brand new album and a special London show. Obermann Rides Again is the ninth album from this supergroup, who feature drummer Bruce Brand (POP RIVETS, MILKSHAKES, LEN BRIGHT COMBO) and guitarist/vocalist Mickey Hampshire (MILKSHAKES) alongside bassist John Gibbs of Edinburgh garage stalwarts THE KAISERS. Recorded at the all-analogue Ranscombe Studios in Rochester, the 14-track album is set r release on 24 March through Dirty Water Records. Available as a limited edition of 500 vinyl copies, it’s also available as a download from their Bandcamp page. Check out the video for ‘Won’t See Me Again’. The Masonics participate in a Medway Weekender at London’s 100 Club over the weekend of 3-5 March, alongside GRAHAM DAY & THE FOREFATHERS, THE LEN PRICE 3, THE CLAIM, GALILEO 7, BOB COLLINS & THE FULL NELSON, THEATRE ROYAL, VIC TEMPLAR and more. Day and weekend tickets are available here. ‹ NEVILLE STAPLE VIDEO EXCLUSIVE!